Kar-Ben Read-Aloud eBooks with Audio combine professional narration and text highlighting to bring eBooks to life! Two neighbors-one Jewish, one Muslim-have always been best friends. When they both fall on hard times, can they find a way to help each other? 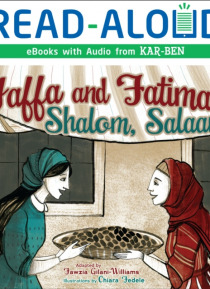 In Fawzia Gilani's retelling of this folktale-which has both Jewish and Arab origins-differences are not always causes for conflict and friend… ship can overcome any obstacle.